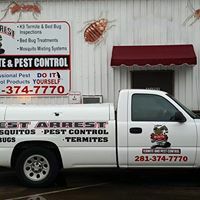 For safe, professional termite and pest control, many homeowners, apartment complex managers and business owners have come to know and rely on PEST ARREST termite and pest control, serving Houston and surrounding areas for over 23 years. Pest Arrest is a full service pest control company, specializing in termite inspections and control. 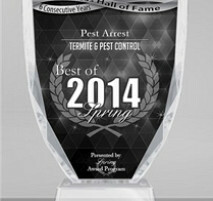 In our community, various pests are doing millions of dollars worth of damage each year. Don't get eaten out of your home because you don't know who to call. 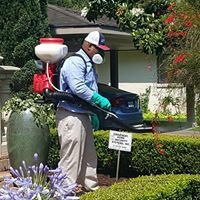 Our trained inspectors and technicians are licensed by the state of Texas and are familiar with termite & pests biology We are trained in the safe and proper use of chemicals and equipment. 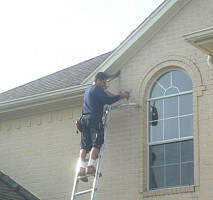 We have earned an excellent reputation among homeowners and businesses throughout the entire Houston area. 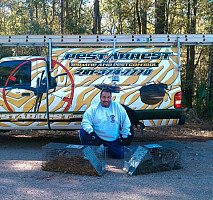 If you are being bothered by Termites or other pest you can depend on Pest Arrest for professional service and professional care. 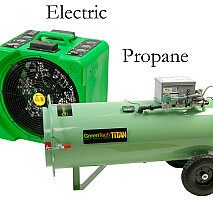 Comments: Company accommodated me with same day service and was equipped with the right stuff! I was very glad I found them. 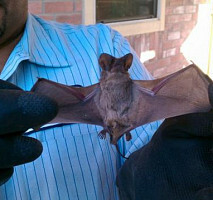 Work Description: I had heard critter activity in my attic, which I suspected was a squirrel. Comments: John inspected the attic and found what appeared to be a nesting place. Did not see an obvious point of entry from inside the attic. Then he inspected the outside of the house and found where it had been getting in and out. The next day a handy man service came and closed that spot with heavy screen wire. So far, no more activity in the attic, but will call John back to set up a trap in the attic if necessary. Work Description: I had a few roaches in my apartment and needed to get rid of them as fast as possible. Comments: I was amazed on how soon they were able to come out to my place and take care of the problem. 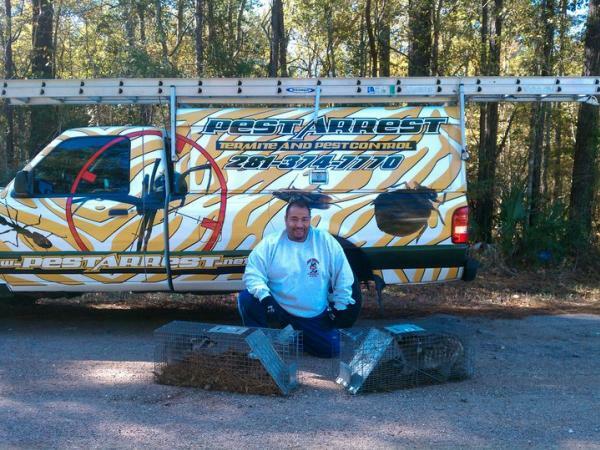 I had requested a quote Thursday night, got a call back within 1 minute and had the service done on Friday morning. That was very impressive. The person doing the job seemed very professional and I totally trust them. 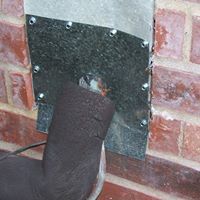 Comments: Did not find then with this service but wanted to tell a story, we ha dbeen having termite problems for 2 years now and 2 other companies have come out but could never find where the termites were coming from. 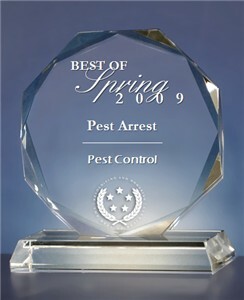 one call to Tracer the dog at Pest arrest and he sniff the termites coming up wetbar area, no one ever spoke of the area, cut wall open sure enough termites coming up pipe threw foundation, great job tracer.. Comments: On time very profess. outfit will recommend them to all my friends. Work Description: Had service for fleas and other bugs. Comments: Inform the customer of waiting period after fumigating for fleas. I still have them but I believe they are the eggs that are hatching and I hope that's it, if not will need another round of fumigation. It has helped. Aside from that all went well. Comments: After some confusion, on my part, John came out and did a great job. The only thing he forgot to tell me before he came was to put my 3 cats somewhere out of the way, as well as, the dog. One cat hid while he was here and we could not complete the job yet. But he did help me look for the cat. He appeared after John left and no harm was done. John is a very nice man and did a great job. I will use them again and I would recommend them to others. Comments: Very prompt and great service. 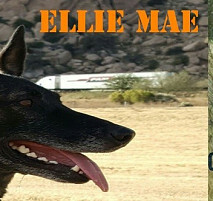 Dog found termites in area's other companies did not see. 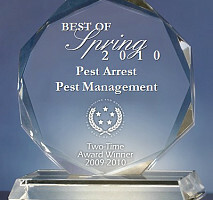 Work Description: Pest management, maintenance and prevention. Comments: John has been my exterminator for at least the past 10 years. He's always cheerful, he has always done an excellent job. He's great.